Mr. Surendra Hiranandani, Founder and Managing Director of House of Hiranandani has the unparalleled distinction of remodeling barren land into some of India’s most vibrant life spaces. He has always envisioned a change in the real estate landscape of India and the dynamic aspirations of the people. His perception and a core team of assiduous individuals are the very reason our organization is an admired and enduring name within the real estate sector. However, what makes him stand out are his core values towards changing the face of real estate and bringing to life the dream of creating holistic living spaces. Mr. Surendra Hiranandani, Founder and Managing Director of House of Hiranandani has the unparalleled distinction of remodeling barren land into some of India’s most vibrant life spaces. He has always envisioned a change in the real estate landscape of India and the dynamic aspirations of the people. His perception and a core team of assiduous individuals are the very reason our organization is an admired and enduring name within the real estate sector. However, what makes him stand out are his core values towards changing the face of real estate and bringing to life the dream of creating holistic living spaces. Mr. Surendra Hiranandani has the unique gift of blending aesthetic beauty with practicality and sustenance that reflects across our integrated communities in Bangalore, Chennai, and Hyderabad. Due to his architectural acumen, our life spaces are now the preferred choice of discerning customers who are increasingly opting for well-planned luxurious living. Today, House of Hiranandani has carved a niche for itself and is synonymous with innovation, transparency, quality construction, superior design, and adherence to delivery schedules. His initiatives in Horticulture and conserving the environment have consistently improved the quality of life of the residents. He is a pioneer in introducing native species of trees and shrubs into the fabric of urban communities. Some of his revolutionary achievements range from the introduction of copper plumbing in India to the use of fly ash in concrete. He has been globally acknowledged for his contribution to the real estate sector with numerous awards and invitations at key seminars where he proliferated issues along with the achievements of the industry and its stakeholders. Mr. Hiranandani is also associated with various charitable trusts across the country. He is the President of the Unaided Schools Forum and is the Managing Trustee of House of Hiranandani Foundation, which operates two of Mumbai's best schools at Powai and Thane. His keen interest in improving the quality of Healthcare is evidenced by the fact that he is the Managing Trustee of Dr. L.H. Hiranandani Hospital, a multi-speciality hospital at Powai. 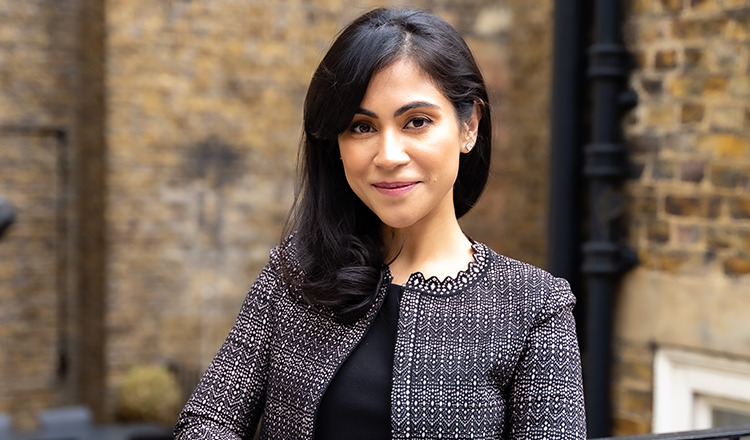 A University of Virginia alumni and a Law Graduate, Neha is responsible for overseeing the direction and organisational strategy of the House of Hiranandani, the organisation founded by her father, Surendra Hiranandani. Neha has successfully combined her business acumen and strategic mindset to aid in the emergence of the company as one of the foremost and most sought after brands in Indian real estate. Mentioned below Neha’s focussed and visionary approach has helped the company to achieve several ambitious goals in a short span of time since joining the company in the height of the financial crisis. Mentioned below Neha’s focussed and visionary approach has helped the company to achieve several ambitious goals in a short span of time since joining the company in the height of the financial crisis. Under her leadership the total development portfolio of the group has grown significantly from 12 million sqft to 45 million sqft in just 8 years without over-leveraging – the group is fully equity funded, using debt as working capital only. She now aims to aggressively expand the company’s already considerable footprint within top tier cities in India in the residential, built-to-suit commercial, and education space. The company has sought to diversify its equity risk and has under Neha’s guidance has opened 2 overseas offices this year. Through the development of unique strategies for each of the geographical locations in which the group operates, Neha has established a company that is synonymous with innovation, transparency, quality construction, superior design, and customer satisfaction. The company aims to tap synergies across the markets in which it operates to diversify outside the real estate space. Yet the accolades and recognition have not diluted the cultural and corporate social values of the group which remain a priority for the group under Neha’s guidance. With her keen interest in the corporate social responsibility and education initiatives, the group has established quality educational institutions in the House of Hiranandani’s residential communities. These schools have been consistently ranked amongst the best in the country for providing holistic education to students. Over the years, these accomplishments have led to industry recognition in the form of accolades and awards. In 2016 Neha was named the “Young Achiever of The Year“ at the prestigious Global Real Estate Brand awards. The DNA Real Estate & Infrastructure awards & Franchise India Awards also recognized Neha for her outstanding contribution to the real estate sector. Accomplished spokesperson at various thought leadership forums and industry events, Neha actively shares her domain knowledge with industry stakeholders. She is also a member of the Indian Merchants Chamber Young Leaders' Forum. 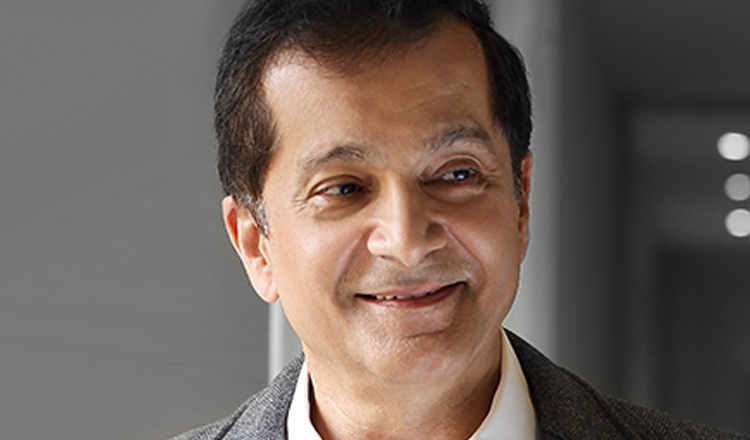 A University of Chicago alumni, Harsh Hiranandani majored in Economics with top honors. Harsh began his professional career working with Credit Suisse in their investment banking division in New York. A whiz with numbers it was only natural for him to join House of Hiranandani, a leading real estate brand in India with the objective of scaling the organization to new heights. 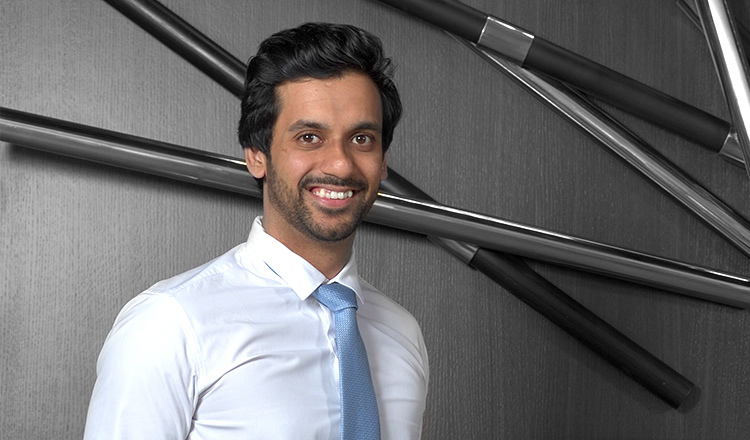 His passion towards the development of the company and young energy is infectious and inspires the young guns of the group to put in their best. An integral part of the top management, he brings on board his unique vision and global mindset about the real estate sector. Disclaimer: The Layout Details, Amenities, Prices And Facilities Mentioned / Shown Are Subject To Changes / Relocation Within The Composite Development / Are Subject To Modification, Amendment, Changes And Revocable, Without Any Notice, At The Discretion Of The Developer. Also By Filling Up Any Website Form, You Agree To Receive Text Messages Notifications & Emailer From Us To Get The Latest Updates Regarding House Of Hiranandani Properties And Schemes. Images Used On The Website Are For Illustrative Purposes And Are Intended To Convey The Concept And Vision Of The Development And May Vary From Actual Views. The Details Of The Furniture, Accessories, Items, Etc. Shown In The Images/Plans Are Only Indicative In Nature And Are Only For The Purpose Of Illustrating A Possible Layout And Do Not Form Part Of The Standard Specifications/Amenities/Services To Be Provided In The Flat. All Specifications Of The Flat Shall Be As Per The Final Agreement Between The Parties. Hi , We are showing "" content of our website Homepage.